Like you, I’m not sure if I would be considered a gamer, though I do enjoy gaming once in a while. The Tomb Raider reboot was the first first person shooter I ever played back I love the game, and even recently I went back and played it again. But I think I enjoy it more because it incorporates real Japanese myths (like Yamatai itself). I love the game…except for any level with wolves (I did not like the wolves). I’m excited for the new movie, but also super worried Hollywood is going to ruin it! Great post, btw! I agree, I’ve really enjoyed all the story stuff about the Sun Queen Himiko. It’s really interesting and fits the game well. I could definitely see the replay value for this game. Did you ever play the sequel? Nope, but I did watch it on YouTube. I’m just not a huge fan of playing first person shooters (I prefer strategy survivor games like Don’t Starve). 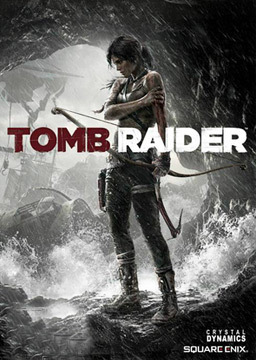 I definitely liked the second Tomb Raider game, but it did jump around from place to place, whereas I prefer games centered around one location. My husband was just telling me about Don’t Starve, it sounds really interesting! It’s such an addicting game! Don’t play it! You’ll never be able to stop. I’m glad you liked it, it’s one of my favorite action adventure games from the last gen.
That seems to be the consensus around here. I’m so glad I picked it! I’ve also played Tomb Raider for the Xbox and really enjoyed it. The story and mechanics are perftect. Your post is reminding me that I didnt finish it though. (I was almost done too) I’m gonna return to it! The movie looks good too. Good post! Haha we can finish it together! I’ve really been enjoying it. Happy playing! Way to go! This looks like fun. 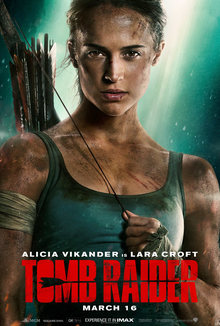 I didn’t know there was a new Tomb Raider movie coming.